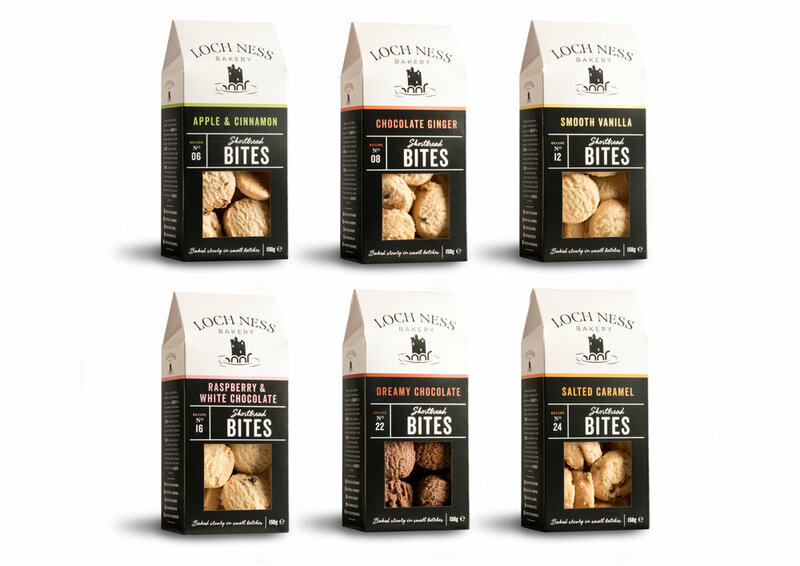 Here at Loch Ness Bakery, we are really proud of the quality of the products made fresh every day in the bakery. Using secret family recipes, the gentle hands of skilled bakers blend and mix only the finest ingredients we can find and then slowly bake these in traditional ovens until the master baker decides they are good enough to be enjoyed by you. Baked by third generation craft bakers, over 70 years’ experience goes in to making our delicious baked goods. Our focus is on producing the finest quality shortbread & biscuits, with care and love mixed in to every batch. If they aren’t as good as granny made them, they don’t leave our bakery! Taking inspiration from the legendary Custard Cream, our indulgent buttercream filling is sandwiched between two biscuits making them incredibly moreish! Our Shortbread Bites are baked using quality ingredients, inspired by family recipes passed down for three generations. Classic recipes with a modern twist. Our twin packs contain two delicious biscuits ideal with a cuppa at home or for travelling around. Available in mixed cases containing 4 delicious flavours or single variety cases.